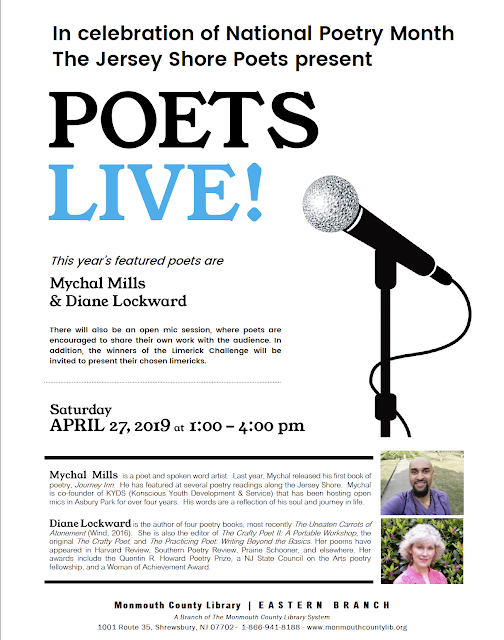 If you're near the Jersey shore on Saturday, April 27, please join us for this reading. Should be fun. 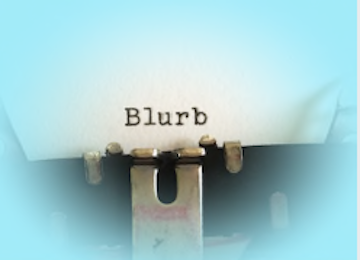 The Parnassus blog recently posted a piece entitled The Trouble with Blurbs. The writers lament the often sad state of the blurb. The post begins with an example of a good blurb: “'This is just the book to give your sister—if she’s a loud, dirty, boozy girl.' Thus spake Dylan Thomas on Flann O’Brien’s novel, At Swim-Two-Birds. And they are fighting words, indeed—an author would be hard-pressed to find a better endorsement for her book jacket." Absolutely. I already want to read that book though I've never heard of it or Flann O'Brien. I suspect that even if I hadn't heard of Dylan Thomas I'd still want to read the book. That example, however, is not typical of blurbs being written lately, according to the members of the Parnassus staff who have noticed a trend in blurb-writing towards "the vague, the hyperbolic, the flat-out useless." Editors cite the too often found use of bothersome words such as "luminous" and its variations. I'd like to add "transcendent" as an equally prevalent and annoying adjective. The staff also slams the abundant citing of contrasts found in the collection being blurbed. That bothers me less than the use of phony words. For me, one of the marks of a strong collection is its ability to embrace opposites, but I agree that vague terms such as "dark, yet playful" should be replaced by more specific ones. The staff's third beef: Too often, poetry collections are blurbed as “important,” “necessary,” or “urgently-needed.” Oh brother, I could not agree more. I am so sick of seeing collections described as "urgent" and / or "necessary." What the heck do those words even mean when applied to poetry? I like blurbs that tell me something specific about the collection, something that will let me know if it's for me or not. I intensely dislike generic blurbs that could have been pasted onto the back of any number of books and give no evidence that the blurber even read the book being blurbed. I also dislike hyperbolic blurbs. For example, I had to guffaw a bit when I recently read a blurb for a first book of poetry. The blurber described the poet as "a major American voice." How could the poet of a first book already be major? I can't trust a blurb that overdoes it with the praise. Here's my own complaint: The blurb-hungry poet who asks half a dozen or more poets to write a blurb and then plasters them all over the back cover. This always strikes me as gluttonous and egomaniacal. It is also an imposition on the time of too many people, all of whom must spend several hours reading the manuscript and then writing the blurb. Unless, of course, they dip into their bag of generic blurbs. When I wrote that post, I was writing as a poet who several times had had to ask for blurbs and several times had been asked to provide a blurb. That was four years before I started Terrapin Books. Now I'm considering the blurb as a publisher as well as a poet and former blurber. My typical poet at Terrapin kind of dreads asking for blurbs. It often feels like an imposition. Also, if the poet has published several books already, she may be running out of potential blurbers. That's not fatal. A few of my poets have contacted poets they knew very well but only through their books. Each of these blurb-seeking poets contacted a poet he admired, expressed his admiration and familiarity with the potential blurber's work, and made his request. Sometimes the answer was no, but more often it was yes. So while it may be preferable and more successful to make requests of poets you have met, it's not absolutely essential. A few of my poets have also chosen to use two blurbs and then excerpts from reviews of earlier books. That works very nicely, but, of course, you have to have earlier books along with some reviews. I always advise my poets not to be overly bashful when asking for a blurb. The request is a compliment. If the person agrees to do the blurb, her words and her name will be on the back of your book and on the website of the press. The blurb and blurber's name will also most likely appear on Amazon and other online sites. In other words, it's some nice exposure for the blurbing poet. Now, of course, some people don't need the exposure and some legitimately don't have the time to do a blurb, so you might get a no to your request. Don't take it personally. Just ask the next person on your list. I still favor no more than three blurbs and limit my Terrapin poets to no more than three. Don't be a hog and overburden too many nice poets. Then give your blurbers a reasonable amount of time to read your manuscript and write the blurb. I've found that one month works well for most people. If a blurber needs more time, I can usually give it. But here's a hard truth: most blurbers do the blurb just before it's due, whether that's three months or one. I also want to mention one kind of blurb I see quite often and don't care for. That's the one that's a collage of snippets of quotations taken from the poems and stitched together into sentences. These always strike me as lazy blurbs and usually don't make a lot of sense. So if you're a blurber, please restrict yourself to a maximum of two quotations per blurb. For the poet who has been the recipient of blurbs, be sure to send each blurber a complimentary copy of your book. And don't ever, ever ask a blurber to buy your book! That is just really bad manners. The blurb is a frequent anxiety-laden topic of discussion on Facebook. Some people have made alternative suggestions, e.g., putting a poem on the back cover. That's a cool idea, but for now most publishers want you to obtain blurbs. So just go about it sensibly and trust that it will work out. Then later when some other poet with a new book coming out asks you to write a blurb, remember the poets who said yes to you and say yes to the poet who now asks you to do a blurb. 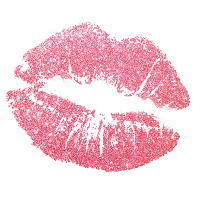 Terrapin Books will soon be taking submissions for a forthcoming anthology of poems on the topic of kissing. The submission period is February 12 thru March 20, 2019. Check out the Guidelines. Some of you very likely already have poems on the topic, but if you don't, I'm going to offer you some stimulation with the following model poem and then a prompt based on the poem. This poem and prompt are from The Practicing Poet: Writing Beyond the Basics, a craft book edited by me and published by Terrapin Books. So read the following poem. Then when you are ready, pick up your pen and write an amazing kissing poem. I look forward to reading your work. for three hours continuously without consummation. while somehow welcoming my embrace. Such fine diplomacy might have saved Poland! with Wind Song, the clean scent of her bubble-cut . Every one of my cells awoke. In this delightful poem, Hunt Hawkins describes the pleasure of a good old-fashioned make out session. The speaker goes back to high school days and recreates the scene from memory. The charming descriptive details set the time period as the ’50s or ’60s, e.g., the details from the girlfriend’s outfit: her scarab bracelet, pleated shirt, and wrap-around skirt. Notice, too, the virginity pin and the huge safety pin—her protective armor. Hawkins brings in olfactory images with the details of the scent of Wind Song on the girl’s wrists and the clean scent of her bubble-cut. The poet also employs figurative language to convey his scene. Particularly notable is the exploited metaphor that begins in line 3 with the underwater feel of the car. There was steam on the windows and a compass inside the binnacle. The speaker was drowning in desire. The metaphor continues as a diver approached, really a policeman. Notice the touch of humor and the casual diction as the policeman asked the young couple if they were okay. The speaker now asserts, Sure / we were! Notice, too, the well-chosen fencing verb, parried, as the girl metaphorically fended off the boy’s wandering hands. Metaphor moves to hyperbole, the language of love, as the girl’s gentle removal of the speaker’s hands is compared to diplomacy: Such fine diplomacy might have saved Poland! The exaggeration continues as the speaker recalls how each cubic inch of her was / agonizingly delightful and how Every one of my cells awoke. The poet returns to the water imagery as the speaker returned home half-drowned. The poem ends with a metaphor that makes us laugh out loud as the speaker’s aching testicles are compared to poor, haunted witnesses. Let’s write a kissing poem. 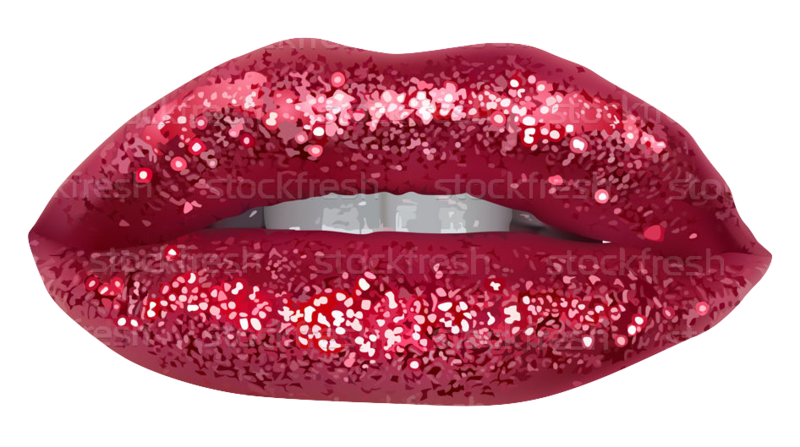 First, go back to the past and recall an important kiss or kisses—the first kiss, a French kiss, an unwanted kiss, a stolen kiss, an illicit kiss, a last kiss, a goodbye kiss, perhaps a metaphorical kiss. Your poem need not recall a warmly positive memory of kissing. Recreate the scene. Make it clear that your first-person speaker is going back to the past. Use descriptive details to call forth that time: What was the music then or the dance style? What were the clothing styles? Any fragrance from perfume or aftershave? 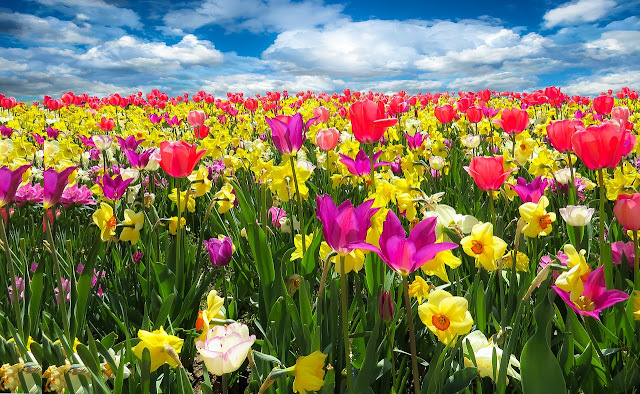 Any local color, e.g., flowers, trees, food? Be sure to include some metaphors. Try to make one of them an exploited metaphor. Use some hyperbole. If, however, your scene is not a tender one, hyperbole might not work. Try it and see what happens. If your poem becomes overly dramatic, revise it out. Tip: If your poem recalls a painful kissing scene, you might find that using third person makes it possible for you to write the poem. In subsequent drafts, the poem might demand first person. Listen to your poem. Use the point of view that best serves the poem. Each Christmas I like to revisit the following essay from the The Sun. My grandmother read it to me many years ago. I've always remembered it. If you don't already know this piece, I hope you'll enjoy it. 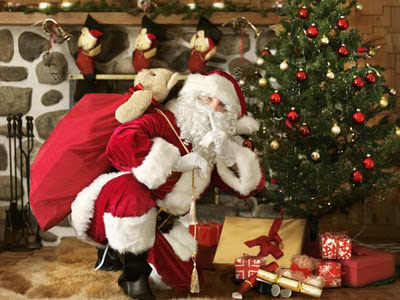 I also hope you'll have a Merry Christmas or whatever you're celebrating this year. And I hope you'll have a wonderful New Year. Thank you for being a Blogalicious reader. I’ve been staying busy and out of trouble at Terrapin Books. Three new books are in various stages of progress. Gary J. Whitehead’s Strange What Rises is scheduled to appear January 15 and is currently available for Pre-Order. It’s fabulous! Ann Fisher-Wirth’s The Bones of Winter Birds should appear mid-February. It’s also fabulous! Then I’m about to begin editing Sarah Wetzel’s manuscript, currently titled All My Davids, and hope to have that book out March/April. Need I say that it, too, will be fabulous? Any among you who are interested in having a poetry book published by Terrapin Books should mark your calendar for our next open reading period: January 24, 2019 - February 28, 2019. Check out the Guidelines and get your manuscript ready for submission. There is a minimal $12 submission fee to defray some of our expenses. This fee has remained at $12 since I began the press. Terrapin will also be offering another publishing opportunity: an anthology of poems about kissing. 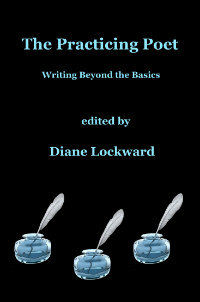 This collection will be edited by me, Diane Lockward. The submission period will be February 13, 2019 - March 20, 2019. Check out the Guidelines. There is no submission fee for the anthology. Now pucker up, pick up your pen, and write some wonderful poems. We will accept both new and previously published poems for the anthology. A number of people have asked me about an ebook for The Practicing Poet. I’m happy to tell you that the ebook is now also available at Amazon. It includes everything that’s in the print book except the Index which is replaced by links in the Table of Contents. The print edition of The Practicing Poet, of course, also remains available. Keep it in mind as a holiday gift for the poets in your life. 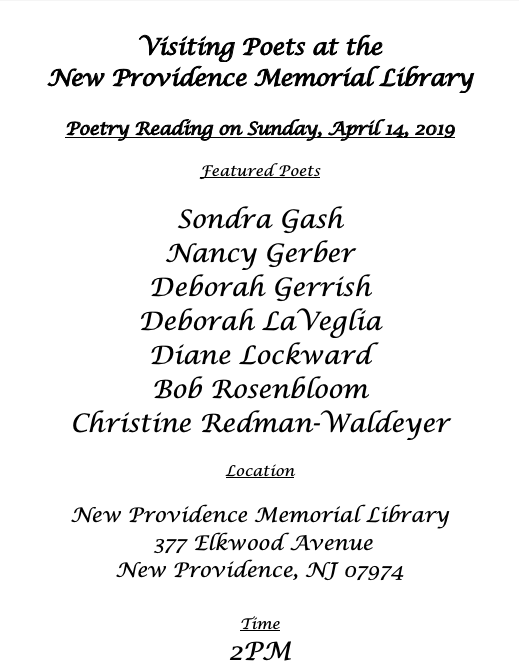 The Practicing Poet has received a wonderful Review by Barbara Ellen Sorensen at Mom Egg Review. This review is beautifully comprehensive and positive. 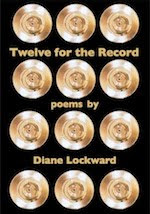 Of the book as a whole, Sorensen says, "Lockward expertly organizes knowledge, ideas, and experiences of 113 disparate poets, and tightly melds together their work and advice. Sharing is the key word here and the generosity of the contributing poets is nothing short of breathtaking. Indeed, magnanimity is the cornerstone of this book." Sorensen describes the prompts as "so lively and enjoyable, the reader will find herself stopping incessantly to work on them. The Practicing Poet imbues poetry with mysterious yet attainable virtues. The reader will want to carry around this book and reference it, often." Needless to say, that review made me very happy. I’m sending the reviewer a bunch of kisses. Please join us for the book launch of my new book, The Practicing Poet: Writing Beyond the Basics. 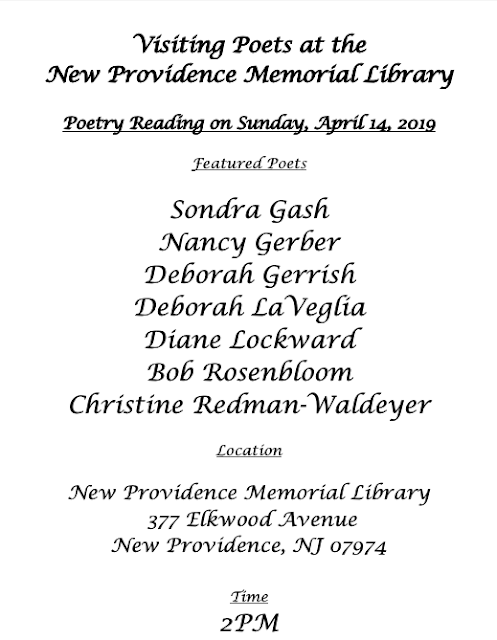 Nine poets will be present to read and discuss their contributions to the book. Q&A. Delicious cookies will be baked by me for the Reception that follows the Reading/Presentation. Everyone is invited to consume the cookies and talk with the poets. 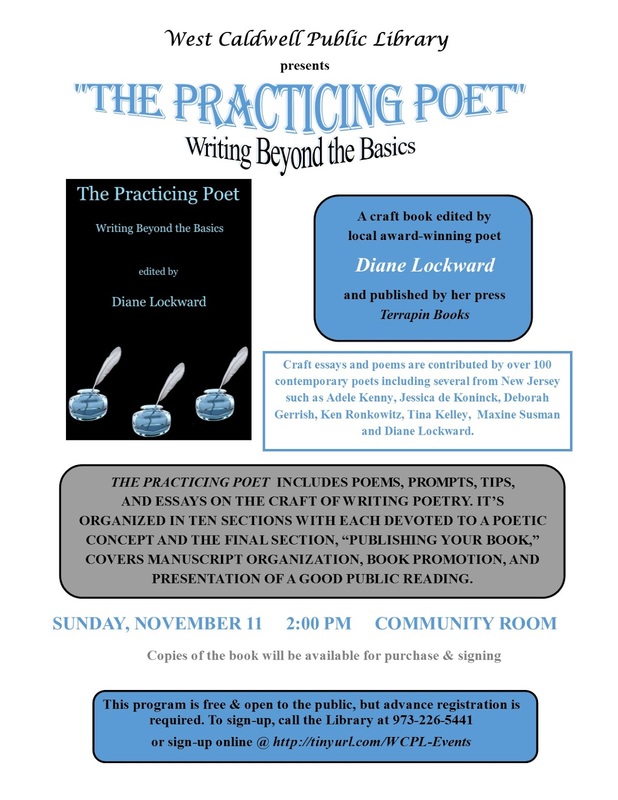 Sunday, November 11, 2:00 PM, West Caldwell Public Library, 30 Clinton Rd., West Caldwell, NJ.